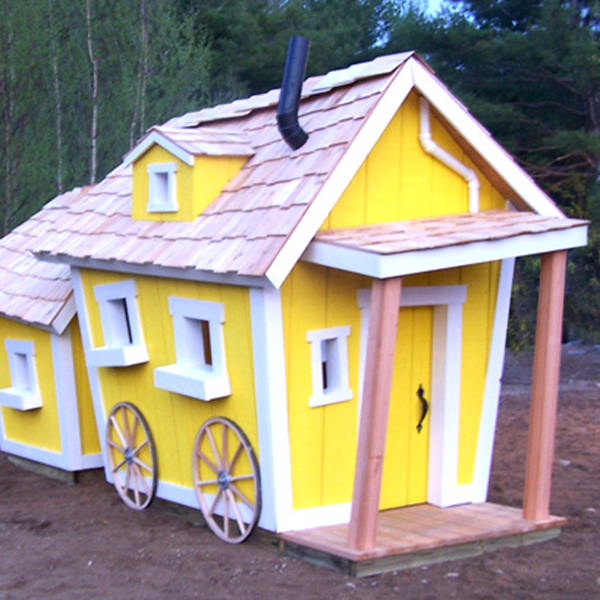 For example, I love the playhouse pictured right (view the Double Deluxe Crooked Playhouse here). It’s really cute, for one thing, and I am a sucker for cute. It’s also built exceptionally well by artisans in Maine, right here in the U.S. of A. What kid wouldn’t love this little retreat from all things grown-up? Or how about the fabulous Stockbridge Deluxe Play Gym? A climbing wall, rope ladder, lookout tower, swings and slide; it’s an awesome spot for the pride-and-joys to get some fresh air and exercise. It even has the added benefit of giving Mom & Dad some breathing space. Of course, a backyard isn’t a backyard without a big and bouncy Family Leisure Trampoline. Kids love them, and with the addition of a safety enclosure, parents can love them too. Sometimes you just have to bring the fun indoors, and when you do, have one of these ready. 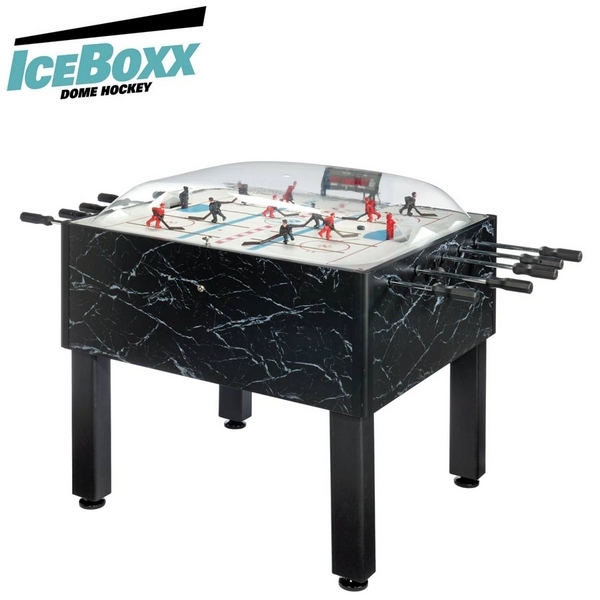 The IceBoxx Dome Hockey Table pictured left (view the IceBoxx Hockey Table here) is perfect for keeping the kids active, even inside the house. Have a family tournament; and when the toddlers toddle off to bed, the grown-ups can raise the stakes. Or you can turn your house into an arcade and hook your heirs up with a classic game like the Pac-Man Arcade Party (view the Pac-Man Arcade Party here). They will love to hear you reminiscence about your glory days at the mall. And you not only get Pac Man, there are also 12 other Legendary Arcade games on this machine. I remember my toy oven because it was more than just something to play with; it gave me the opportunity to create memories. My brother still complains; many, many, many, many years later, about the dog food and pickle relish cake I made him eat. Some presents are just things; gift your children with shared experiences and memory makers.